November | 2013 | Wait…So That's What Catholics Believe?!?! Before I became Catholic in 1999, I always thought Catholics were weird. Now, after being Catholic for the past 14 years and being ordained a Deacon along the way, I know for a fact that Catholics are weird. Here’s what I mean: We love stain glass windows, candles, bells and incense. We love organ music, chanting, monks and nuns. We love rosaries, relics, statues and fancy vestments. We love the Virgin Mary…A LOT! We love to sit, stand, kneel, genuflect and bow at Mass. We love holy water, baptizing babies, making the sign of the cross and smudging ashes on our foreheads. We promote chastity, traditional marriage, love of neighbor and support for the poor. 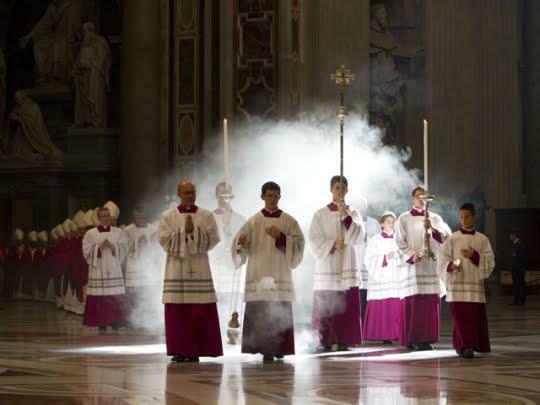 We confess our sins to a priest, consume Jesus’ flesh and blood at Mass, pray with the Saints in heaven and support life from conception to natural death. Through the eyes of the world, these things aren’t normal! So I guess being Catholic means we have to be a little weird in the eyes of the world. Are you OK with that? It’s taken me a long time, but I’m finally to the point in my life where I don’t care if others think I’m “that weird Catholic.” The thing that has helped me to accept my “weirdness” is through studying the lives of the Saints and seeing how they have offered up their sufferings to God. 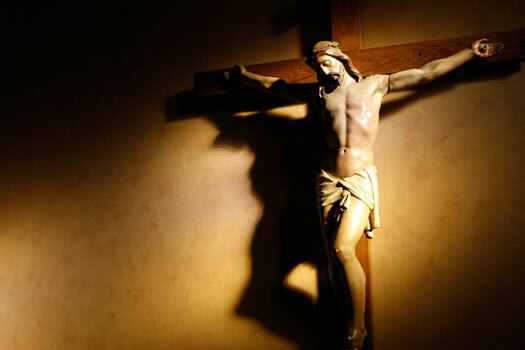 Countless men and women have suffered for their faith in the form of persecution, torture and death in the name of God. If ever I begin to doubt the existence of Jesus as my King, I read about the early Saints and erase all doubt. They were some of the weirdest Catholics I’ve studied. The Apostles gave up everything to follow Jesus and, except for St. John, were killed for their beliefs. Men, women and children were fed to lions for being Christians. They were either completely insane, or understood that Jesus was truly who He claimed…the Son of God, our True King. But not all of those killed for their faith were from the early church. One such Catholic I recently studied was Jose Sanchez del Rio. 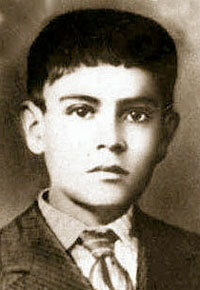 He was a 14-year-old boy in Mexico who died on February 10, 1928. Why was he so weird? Listen to how silly this boy was. Jose lived in Mexico during a time of severe persecution of the Catholic Church from the Mexican Government. He wanted to join the rebel forces so he could have the opportunity to give his life for Jesus and, in his words, “go to Heaven easily.” Jose became the flag bearer for a troop of Catholic rebels and was captured during a battle. The enemy commander demanded that Jose renounce his faith under threat of death. Jose refused. He was forced to witness the hanging death of another Catholic in hopes to scare him into renouncing his faith. Instead, Jose encouraged the man and said they would soon meet again in heaven. In frustration, the commander cut the bottom of Jose’s feet and had him march around barefoot outside. If he wasn’t walking fast enough, they would jab him with a machete. As they marched him around, they told him all the torture would end and his life would be spared is he simply say 5 words, “Death to Christ the King.” Jose replied, “I will never give in. Long live Christ the King.” Jose was then marched to an open grave and stabbed with bayonets. As he laid on the ground about to die just before the commanding officer shot him, he had just enough strength to draw a cross in the dirt out of his own blood and kiss it. Weird right??? He chose a painful death rather than speak 5 simple words. The story of this 14-year-old martyr, especially when read in light of today’s Gospel from Luke, teaches us a lot about suffering and what happens when we unite it with Jesus’ suffering on the cross. Jesus was being crucified with two other criminals. It is interesting to note that the people walking by and one of the other criminals being crucified were all mocking Jesus. “Hey tough guy, what are you going to do now? You got yourself into this mess, let’s see you get out of it.” “Hey, what about me? Get me down from here!” They wanted to get a response out of Jesus but what they got was silence. That’s when the so-called “good thief” does something really weird. He acknowledges that his punishment fits his crime. He actually owns up to his sinful past. 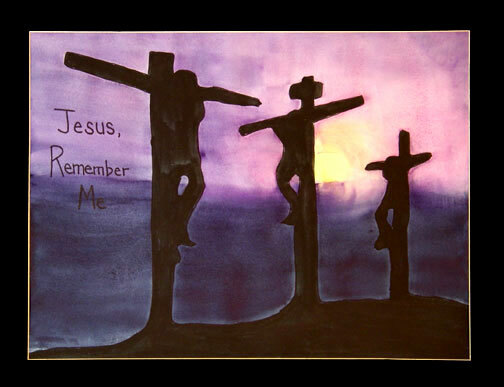 Then rather then asking for the pain and suffering to stop, he unites it with that of Jesus and pleads for mercy. Only then does Jesus speak using the words we all long to hear, “today you will with me in Paradise.” Why does God allow pain and suffering you ask? I don’t know…maybe he is trying to get your attention and help you to a point of conversion like the “good thief.” And when you accept it and unite it to the cross, you will definitely get His attention! So you see, you have to be a little weird to be a follower of Christ. You may be looked at differently because of your beliefs. You may have to suffer from time to time. You may even be called to lay down your life for the faith. But remember, earth is NOT our final destination. So no matter what trials we may go through here on earth, it will pale in comparison to the joys of heaven. So always keep your eyes focused on Christ. He is our King. He is our Everything.